“This experience will be a legacy for new generations, showing that even war has limits. It is a clear message that confirms the commitment that justice and society have to human rights, to promote a much longed-for peace, and allows us as a society to advance, together with the women, in order to affirm their lives and build a more dignified society. It is essential that we know our history in order to not repeat it. More than anything because the sexism, racism, and high levels of poverty that prevail in this country escalate the conditions for violence against women. 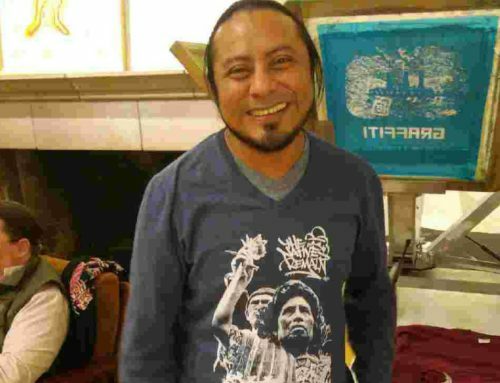 One year ago, women survivors from Sepur Zarco and the legal, advocacy, and psychosocial organizations that accompanied them, made history when they successfully prosecuted former members of the Guatemalan military for crimes against humanity in the form of sexual violence and sexual and domestic slavery. 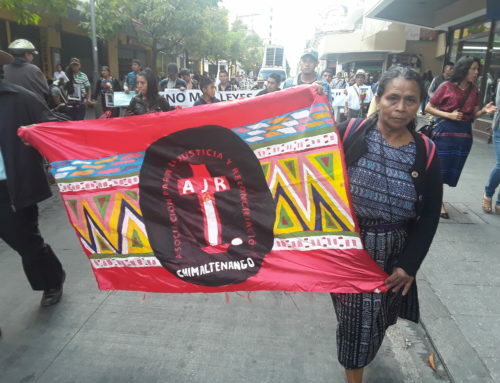 Today, on International Women’s Day, we invite you to read our latest report on the status of the case of Sepur Zarco and the ongoing struggle for dignified reparations. The 20-day trial focused on the women’s experiences being held as domestic and sexual slaves at a military recreation center in the 1980s in eastern Guatemala. 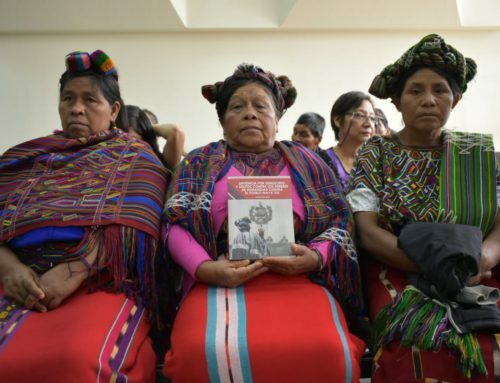 Their firsthand accounts were complimented by expert testimonies on Guatemalan history, structural racism, gender violence, and the specific ways that patriarchy plays out on women’s bodies in the context of war. Below: Plaza Pública interviews Rosa Tiul on her experiences as a survivor and witness during the trial and the ways she has been received in her community since. Credits: Filmed and edited by Plaza Pública. Translated into English by NISGUA. 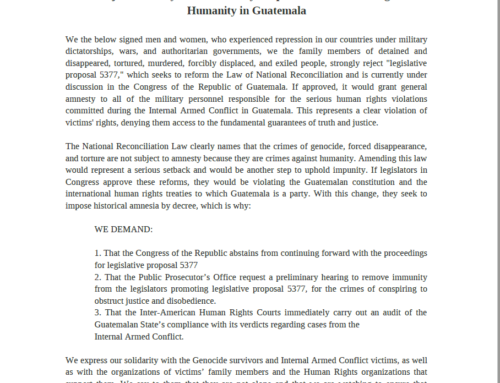 While the verdict was undoubtedly an important milestone in the struggle for State recognition of the atrocities committed by the Guatemalan military, the 18 reparations ordered by the court to help redress the physical, psychological, and material impacts of the violence, are just as important. 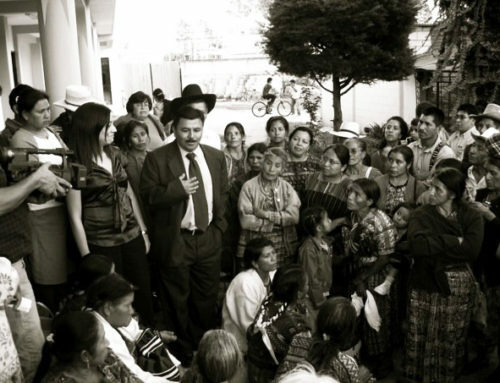 The Ministry of Health has made some strides, installing a mobile health clinic in the community of Sepur Zarco and allowing several of the women – many now in their 80s – to get their first state-provided doctor’s visit in their lives. To date, however, few other steps have been taken by the State to carry out the court-ordered reparations, leaving women survivors and many others concerned that the lack of political will, will prevent them from seeing the important reparations. 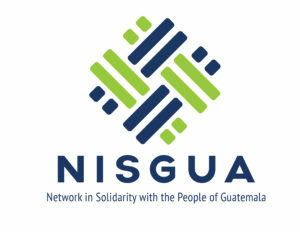 Through ACOGUATE, NISGUA provided international accompaniment to several of the plaintiffs in the trial, observed the trial, and has since provided advocacy. Over the past year, we have learned from their integrated approach to healing, empowerment, and justice. And while they celebrate the important step for gender justice, they remain firm in their struggle that reparations are needed. We stand with them as they seek reparations and a world free from gendered violence. Read our latest report and read more about why the reparations process is such an integral part to transformative healing and justice.